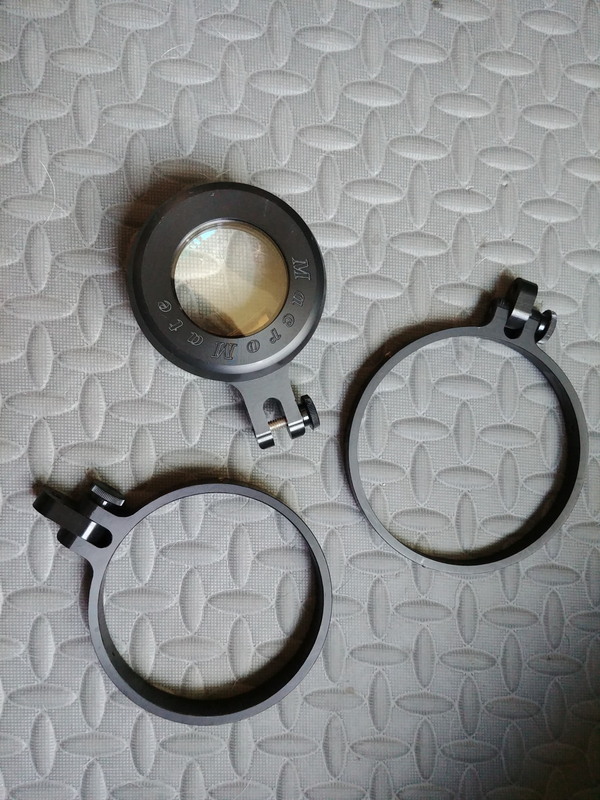 Macromate magnifier flip lens ( 3:1 mag) with mounting rings for subal and aquatica. Glass has no scratches; a couple very small scratches on outside of frame. Would like this gone - 100.00 plus shipping!